China is in southeast Asia. It shares its borders with 14!!! other countries – Afghanistan, Bhutan, India, Kazakhstan, Kyrgyzstan, Laos, Mongolia, Myanmar, Nepal, North Korea, Pakistan, Russia, Tajikistan and Vietnam. China has more than 1.4 billion inhabitants making it the most inhabited country on earth. The capital of China is Beijing, located in Northern China. Beijing is the world’s most populous city. Other major cities include Shanghai, Tianjin, Shenyang, Hangzhou, Chengdu, Chongqing. The majority of the positions we have available in China are in Hangzhou, 45 minutes on a high speed train from Shanghai. China is officially atheist as religion has been discouraged by the communist system. Having said that, the most common religions are Taoism, Buddhism, Islam and Christianity. China’s history dates back over 4000 years and the country’s civilisation is one of the most ancient in the world. The Xia dynasty (2070BC-1600BC) was the most ancient dynasty of China the most recent being the Ming dynasty (1368-1644). The country is now led by the Communist party of China with Xi Jinping as the current President. With the introduction of the opening-up policy (which has its 40th anniversary in 2018), the economy has grown rapidly, and China is now the World’s leading economic power. Family has the highest priority in China. The Chinese family structure is hierarchical with special terms to identify members of the family and their position in the hierarchy. Chinese families have traditionally live very close together. It is not uncommon for 2 or 3 generations to live under the same roof. However, now more than ever before younger generations are moving far from home to find work. Marriage in China has evolved over time. Ancient marriage customs are giving way to more modern thinking and people are now free to choose their partner – though parents may still heavily influence their child’s choice of spouse. Marriage is held in high regard in China. Divorce is still not that common in China although divorce rates are growing. The typical Chinese wedding ceremony has been influenced by western culture with the bride wearing a white dress and the groom wearing a suit. Body language is an important part of Chinese culture. While you are not expected to know and understand every aspect of nonverbal Chinese custom it is a good idea to be familiar with and try to practice the basics. Please do not stress about these! The most important thing is to be yourself while being respectful and enjoy learning about life in this amazing country. • When you beckon to a person, do so with your palm down, and then flutter your hand up and down with your fingers touching together. • China is the world’s most populous country with over 1.38 billion inhabitants. • Despite being huge, the country has only one official time zone meaning that in some part of China, it is already 10 AM when the sun rises. Chinese food is popular all around the world. 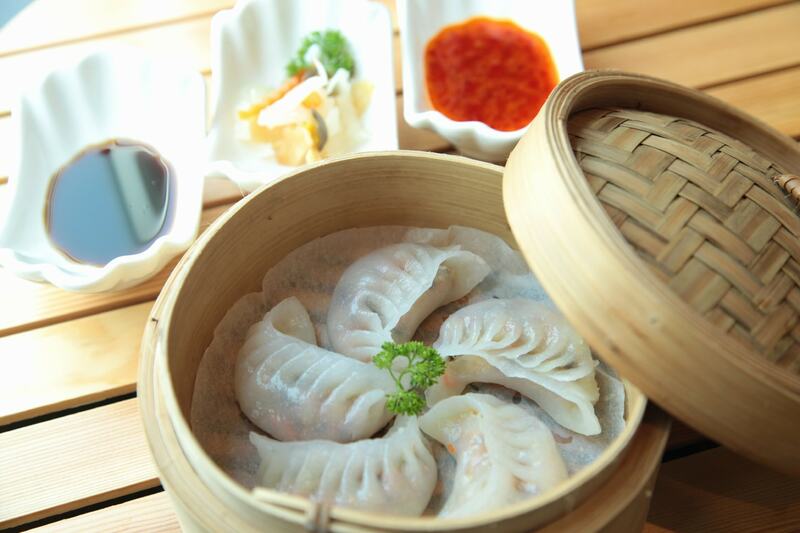 It is famous for its variety of tastes, cooking styles and appearance. Every region of China has it’s “specialities” many of which are vegetarian. 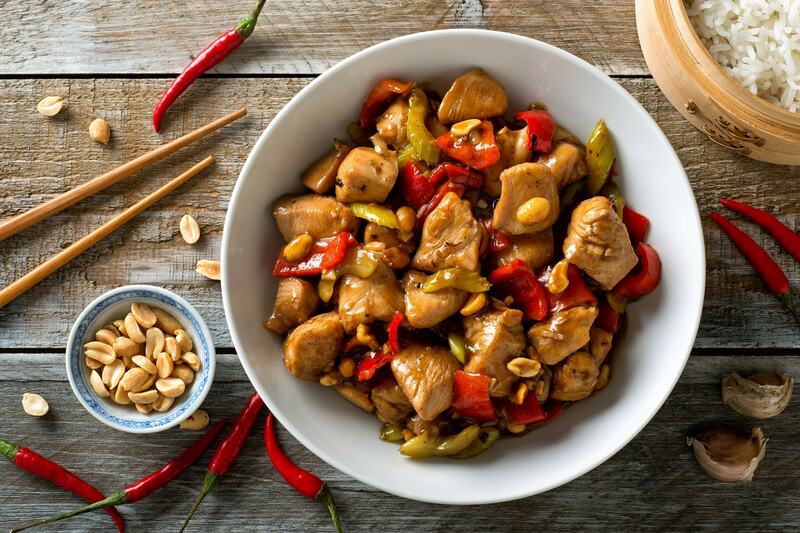 Chinese cuisine includes a large variety of ingredients such as rice, noodles, tofu, meat, eggs, all sorts of vegetables and a complete range of tastes from spicy, salty, sweet, bitter to sour. If you have cravings for western style food, all kind of fast food – McDonald’s, KFC, Subway, Pizza Hut is also available! Hangzhou is an amazing city. It is known for its silk, green tea production as well as its amazing scenery and its historic structures. We would encourage you to get out there and explore as much as you can. Hangzhou is located less than an hour away from Shanghai on a bullet train and is ranked among the best cities to live in China. 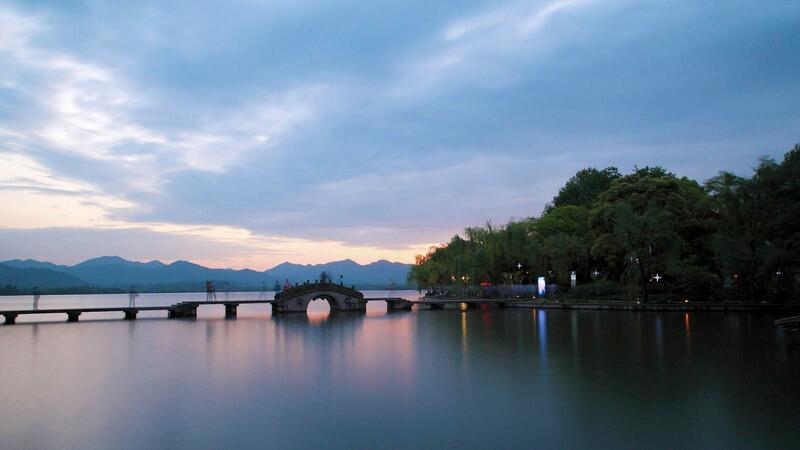 Take a walk near the famous West Lake (UNESCO World Heritage Site), appreciate the local cuisine, discover the city and its history. Mandarin is the official language of China and Taiwan but several different languages are spoken throughout China including Cantonese, Shanghainese and Fuzhou. Mandarin is a tonal language and is not particularly easy to learn. Don’t worry, you are not expected to learn Mandarin before coming to China and you will be encouraged to use English only in your classroom. Chinese people are really helpful and eager to help foreigners. It is possible to survive without learning any mandarin. Having said that, learning some mandarin is a great way to enhance your experience in China (and your cv!). The more you learn, the more you will understand Chinese culture. Being able to order food or get in a taxi by yourself is a fabulous feeling. Buses are a good way to travel around towns and cities in China. Fares are cheap and in large cities, stops are announced in English. Buses are not generally very comfortable so are not that great for long distance travel. Taxis – cheap and easy to find, taxis are popular in China. They can even be an alternative to buses for long-distance bus routes (~40% more expensive but much faster). If you have difficulty communicating with your taxi driver you can just show the taxi driver your destination on your phone. Trains – a safe, comfortable and cheap means of transport. It is the best transport for long distance routes. 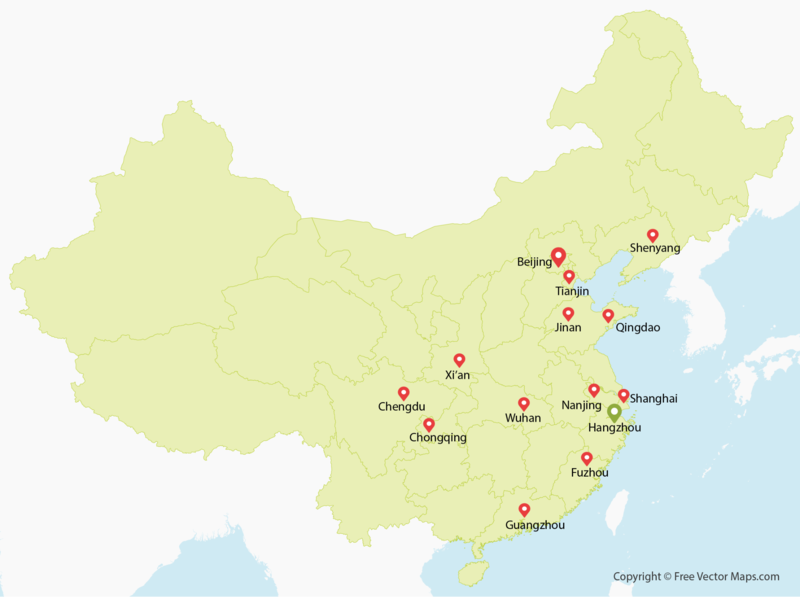 The Chinese rail network is one of the biggest networks in the world, most towns and cities have good rail links. Subways – Hangzhou metro currently has three lines but construction is underway to add another seven! 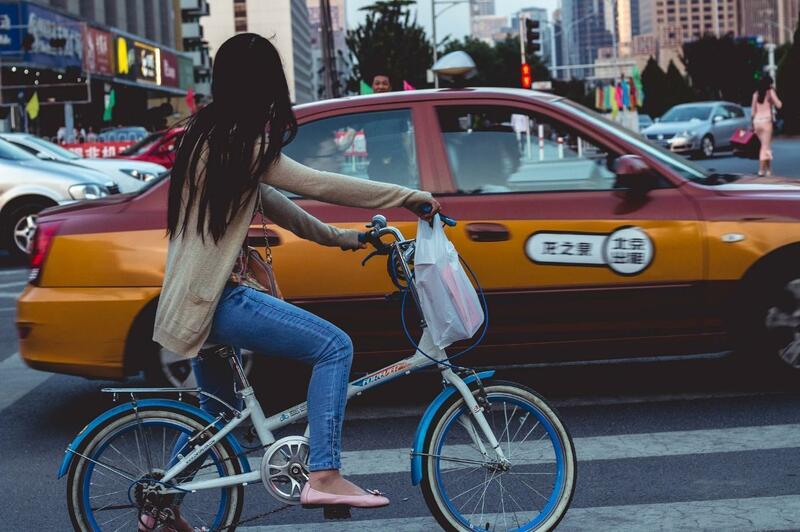 Bicycles – Hangzhou has a well-developed bicycle renting system. There are over 1,000 public bicycle spots in the city. Visitors can rent a bicycle and tour around the city freely. This is a great way to get around the city.